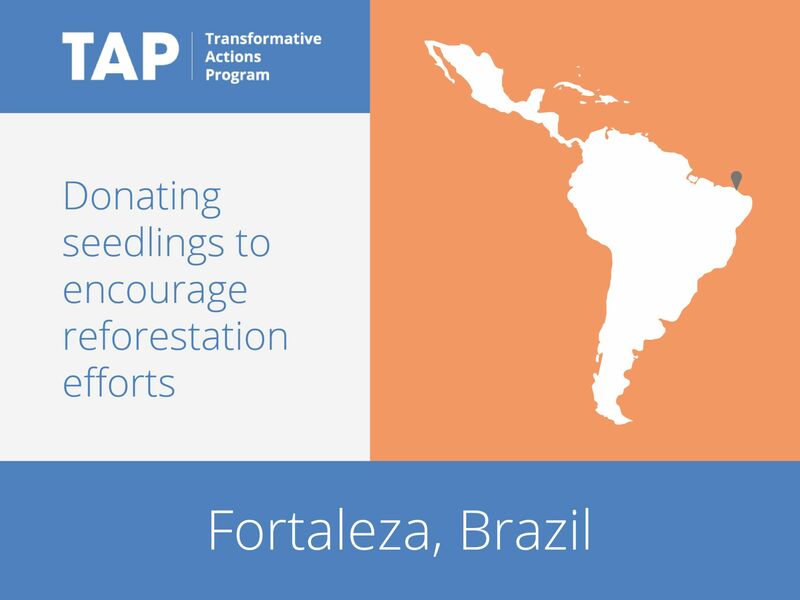 As part of its afforestation plan to combat the urban heat island effect and reduce emissions, Fortaleza will donate seedlings to citizens and support them in planting new trees. Citizens can apply for seedlings by email, by telephone or through a dedicated website, and can propose public or private sites for planting. The project will directly engage citizens in sustainability efforts, allowing them to decide where trees are needed and to make their own neighborhoods greener. It creates a new model for cooperation on sustainability in Fortaleza.